Since my last post, and with much help from friends and family, I managed to accomplish my skiing goals, do a little climbing, do the Imogene Pass Run with my sister Tana, and ride the White Rim. 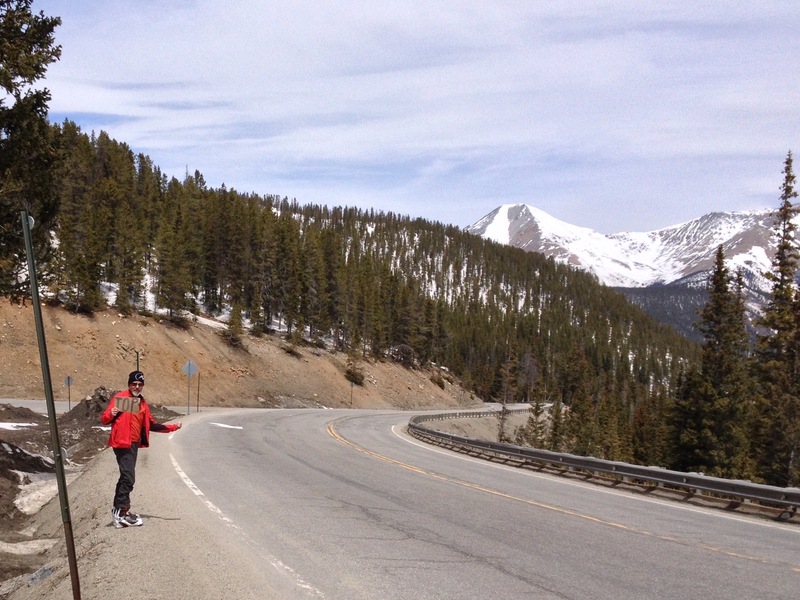 The Imogene Pass run was exhausting, and the White Rim trip was spectacular. They both deserve a posts of their own. I’ll do that later. This is an update on skiing and climbing. Thanks to everyone that helped me make this happen. 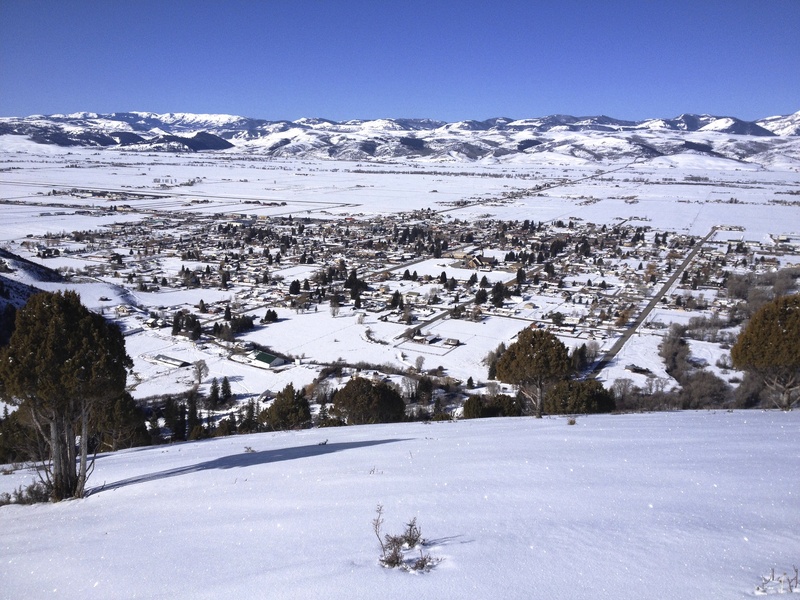 After the Backcountry Ski Week with Exum I went back to Afton. I was getting tired of all the driving to Jackson so one morning I thought I’d see how the skiing was on Star Hill just behind the house. I didn’t expect much, but thought I’d at least get some exercise. It turned out to be great! 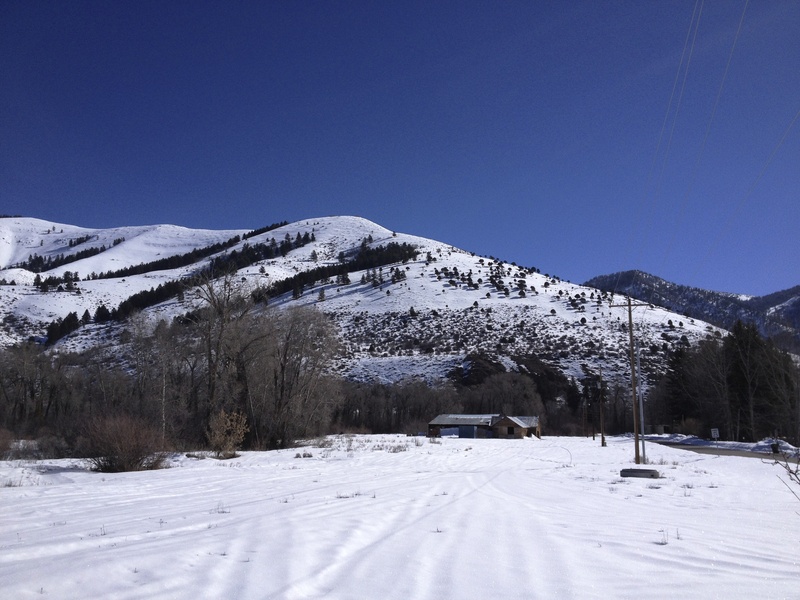 Star Hill from Afton. Stormy’s family’s old sawmill is in the foreground. A few days later it warmed up and the snow got too thin to ski, but that was okay. Val came to visit so we headed back to the Tetons so I could show him some of my favorite stashes. We had a couple of days of warm sunny days of skiing before Val headed back to San Juan Island. Val still cranks out beautiful telemark turns in those old leather boots. 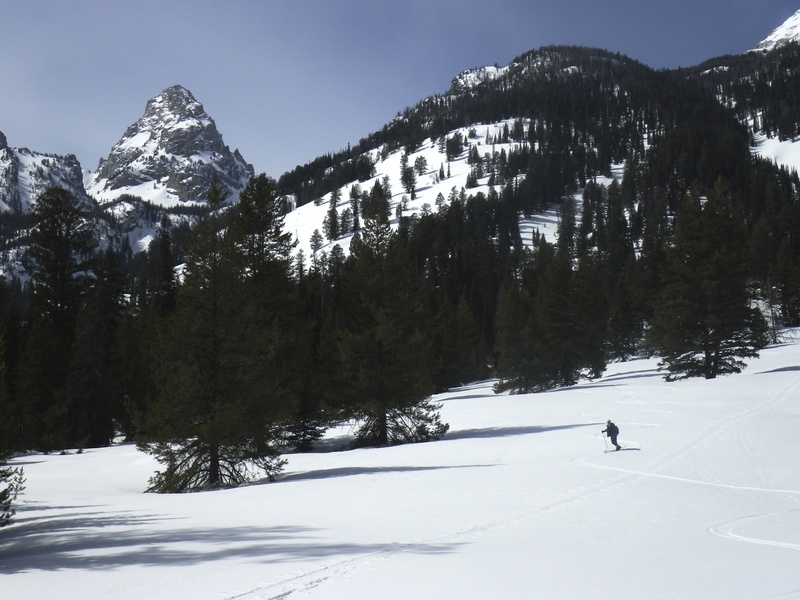 Val showing his telemark skills while descending out of Burned Wagon Gulch. 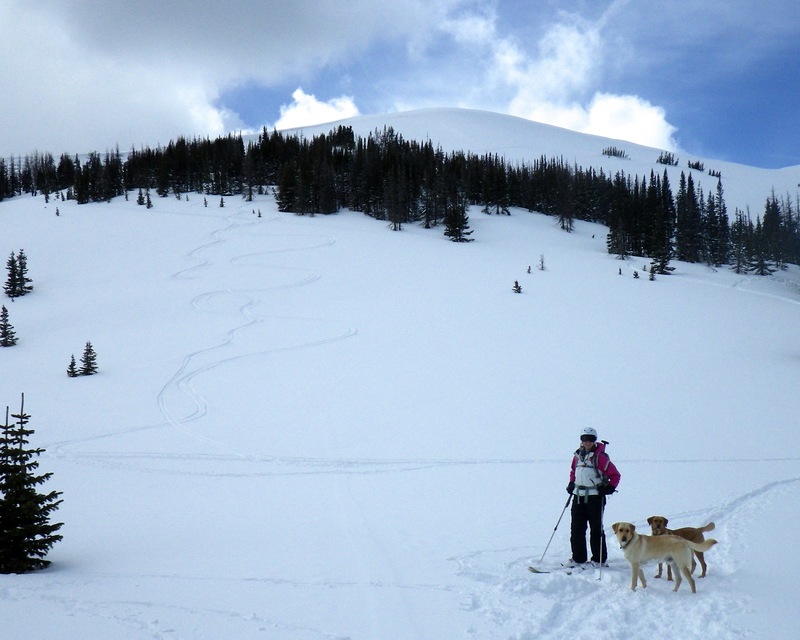 About a week later I met up the Jessi and Tana and three dogs to do some skiing at Cameron Pass near Fort Collins. The dogs had at least as good a time as we did. Mongomery Pass skiing video. 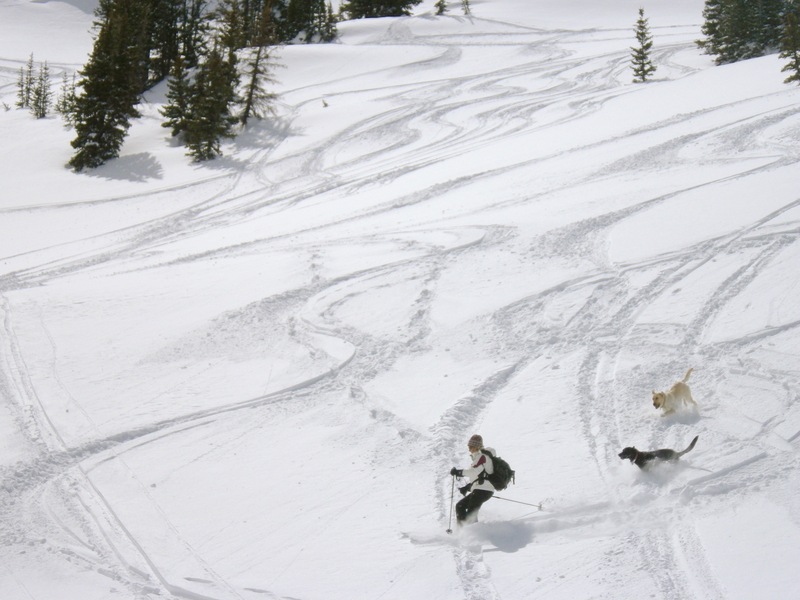 At this point I was still a few hundred feet short of my backcountry ski goal so Charlie and I went off to Monarch Pass. 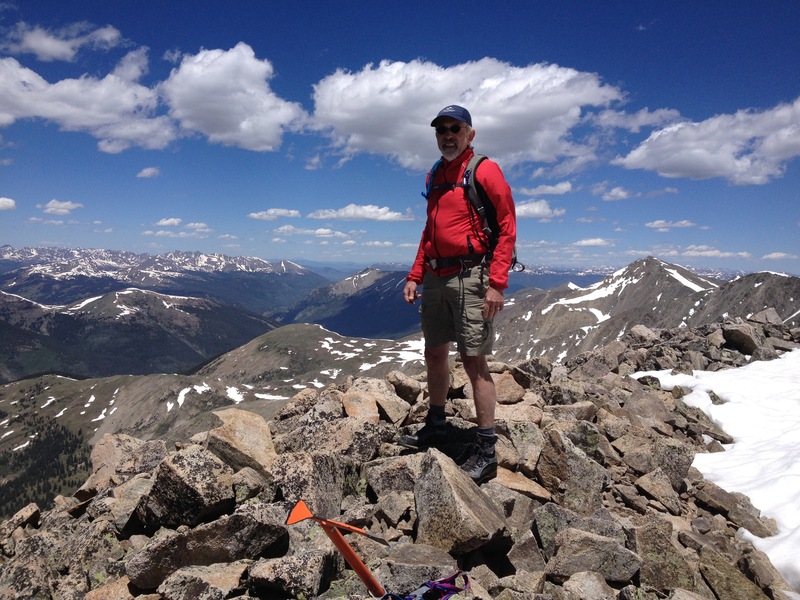 In the end I didn’t do much climbing although Charlie, Twila, and I climbed Drift Peak on June 29th. 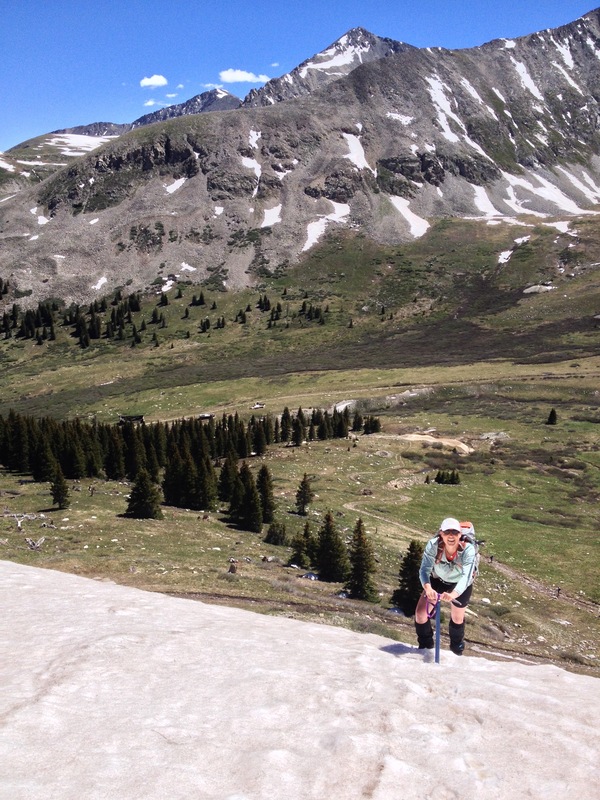 Drift Peak is a 13,900 ft mountain that forms part of the cirque at the end of Mayflower Gulch. There was a good bit of snow in the Northwest Bowl and enough on the road to get stuck on a snow drift on the way (no pun intended). We would still be there if we hadn’t gotten an extra push from about four passing hikers. Well, maybe not, but it would have taken a long time to dig out enough snow with ice axes. In the end I fell far short of my climbing goals, but I guess that leaves something for my 61st orbit. Wow, those are some spectacular places you’re playing in. Love the video of the doggies playing in snow! Beautiful experiences with a little sweat involved, I think! 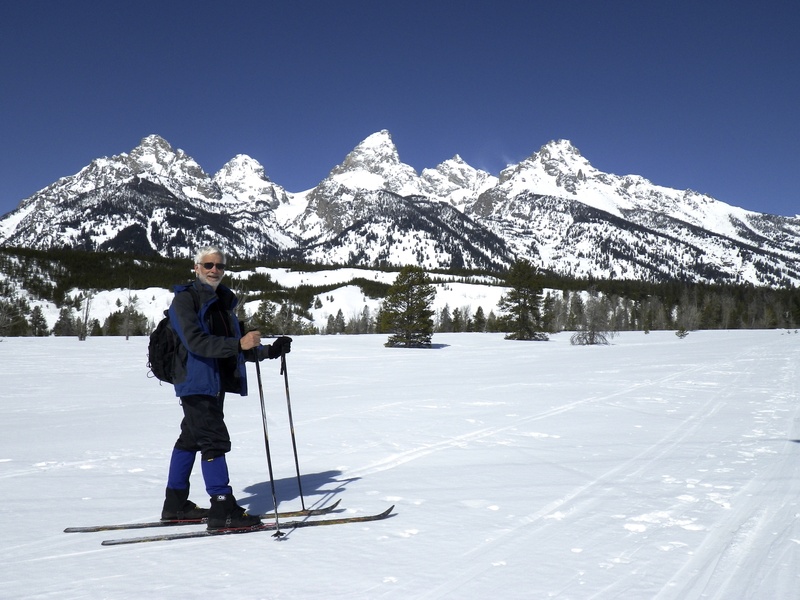 You can match Ric Bradley on backcountry experiences. On the White Rim I sweated as much from anxiety as the bikers from exertion—-quite the experience! Thanks Beth. It was just the heat. You were calm and collected. 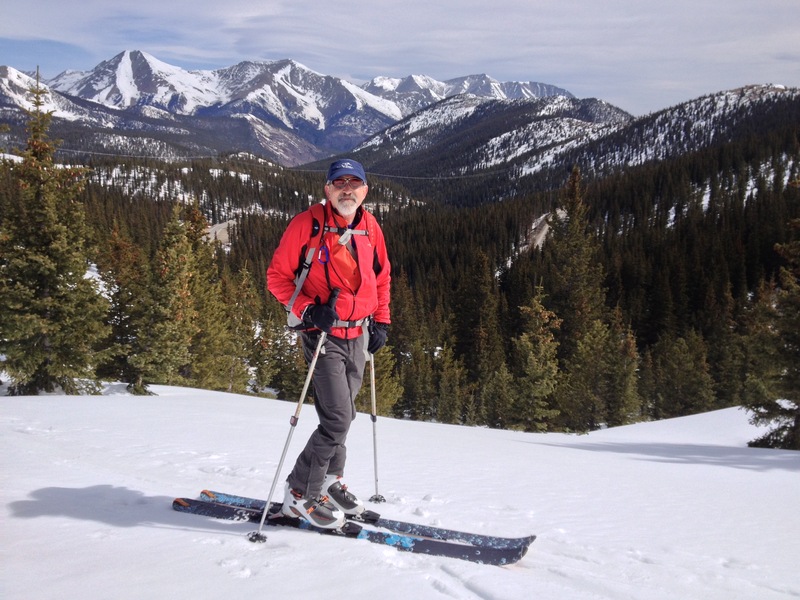 This entry was posted on October 9, 2014 by shane and tagged 60th, backcountry skiing, climbing, skiing.